Concrete floors have become a staple of the building industry for their strength, durability, and the wide range of aesthetic looks possible. The initial treatment of the concrete, once it is poured, has much to do with its long-term strength and performance. “Curing” refers to hydration, the chemical process by which concrete hardens once it is poured. During hydration, the water content in the concrete mix blends with aggregate and cement in a chemical transformation that provides the best possible strength in the final slab. That initial mix always has more moisture than the final slab will contain. As the hydration process takes place, moisture evaporates from the slab surface. Installers use a variety of methods to help control the curing process; if the slab surface dries too quickly, the overall strength and surface structure of the slab may be compromised. Too slowly, and the project schedule might be compromised instead. When surface treatments such as staining, stamping, or various admixtures are part of the slab’s end design, this curing process must be carefully monitored to provide even color distribution, slab strength, or design depth. It is a moisture management balancing act. A common practice to manage moisture condition in curing slabs is to use some form of “wet curing”: supplying additional moisture to manage the moisture evaporation rate or temperature of the curing concrete. There are a variety of practices that work to keep the moisture condition at the slab surface adequate to facilitate the hydration process. Some contractors apply additional water through fogging or spraying the slab surface repeatedly. The challenge with this method is to keep the surface uniformly wet. Dry intervals or patches can lead to crazing or cracking on the slab surface. A more common practice is for contractors to place blankets over the slab surface to slow the rate of evaporation. Curing blankets are frequently composed of an absorbent fabric or paper layer that is wetted to provide consistent moisture to the slab surface and a less permeable layer that slows the rate of evaporation. The blankets slow down moisture evaporation but are sometimes difficult to install smoothly and evenly across the whole slab. A third option for builders is to apply a permeable or liquid curing compound to the slab surface. These products are typically brushed or sprayed on and form a membrane that controls the evaporation rate. This method is especially popular for the installation of colored concrete slabs. 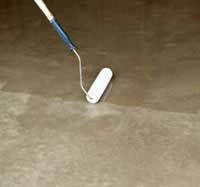 However, chemicals within sealers may skew the overall chemical equilibrium that is required for the proper curing of concrete slabs, or they may interfere with final floor finish techniques or flooring application if not completely removed. Ultimately, concrete professionals must maintain a balance that considers moisture conditions and chemical interactions so that slabs can meet specification standards. When wet curing is used to control the initial strength and bond of the concrete pour, it will affect the drying schedule and ultimately the overall project schedule. Curing and drying are ultimately two separate phases in concrete slab installation. 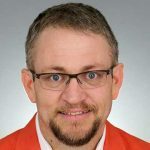 The hydration that provides the initial mix and chemical bond of the concrete’s ingredients is the first step, but in order for the slab to be properly prepared for its final finish or flooring, it must be dry according to the finished floor specs also. How does wet curing affect drying time? With wet curing, the added moisture serves to stabilize the excess loss of evaporated water in concrete. However, surface moisture interacts with slab water vapor that migrates from the bottom to the top of the slab. 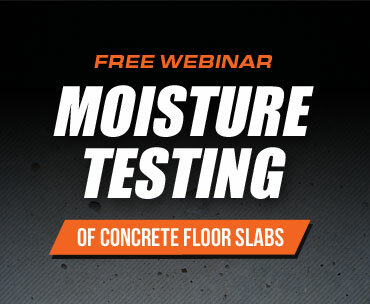 Moisture in the drying process must leave the slab by evaporating from the slab surface. So while wet curing may address surface hydration, it may also extend the drying schedule as the slab’s internal moisture content is kept in place by the curing methods or membranes at the surface. Slab moisture conditions also fluctuate with changes in ambient relative humidity (RH). Even presuming successful surface curing, the water in the concrete evaporates more quickly when ambient RH is low; conversely, the evaporation rate slows when ambient RH rises. Unsuspecting contractors may mistakenly verify the success of wet curing without truly knowing the state of internal slab moisture levels. 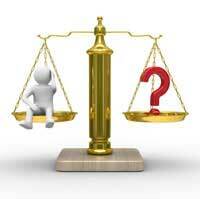 Luckily, concrete slabs can be cured safely and dried effectively by assessing both pH levels and RH levels. 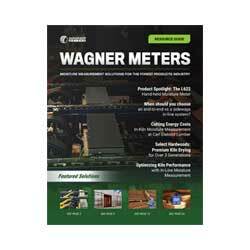 Wagner Meters produces two simple methods for precisely monitoring slab moisture and pH levels. The Wagner Meters Rapid RH® 4.0 EX is a cost-effective, precise way to assess the overall slab moisture condition once the curing process has been completed. The Rapid RH® utilizes state-of-the-art technology with in situ moisture probes to measure the moisture condition at 40 percent of the slab’s depth. These probes can be inserted into several test holes to simultaneously assess moisture at multiple slab locations. Using the Rapid RH® is a timely and dependable way to ensure that the slab’s moisture condition is accurately monitored after a wet cure process has been applied. 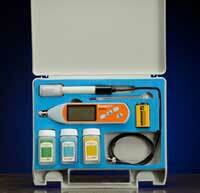 Installers can effectively check pH levels prior to a finished floor system being installed with the pH Test Kit. The kit from assesses pH ranging from 0 to 14.0, so contractors can ensure and maintain the all-important pH of successfully cured slabs. For a successful finish every time, wise contractors monitor the drying process carefully, assessing both moisture condition and pH. The Rapid RH® 4.0 EX and pH Test Kit are the tools to do the job right. How soon can I fog my outdoor concrete after pouring? It has been 4 hours already. Thanks. Thanks for the comment. You will usually see people start to mist a slab shortly after the final finish. Good luck. Does it still help keeping the fresh concrete wet if I applied cure after pouring? It depends on the weather. If you are on the hot sun you could set up rapidly. I have had it happen to me. Fortunately we got a week of rain for a great cure. Normally I suggest the night of a day pour, then depending on weather at 1pm or so and again at night. Also it depends on the psi or slump poured. However do not wet until you have a hard set.